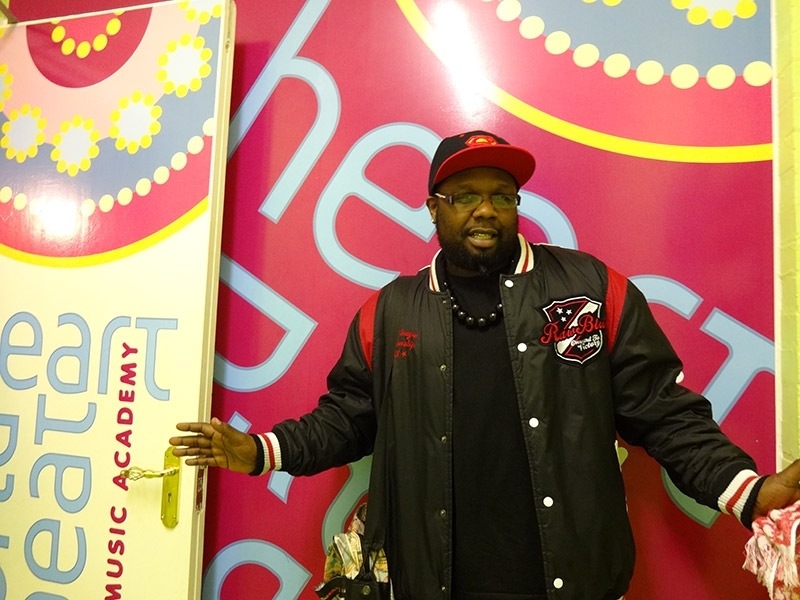 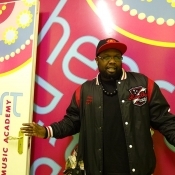 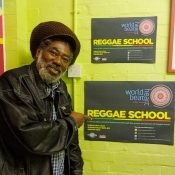 Young reggae musicians in Reggae School under the direction of Don Chandler shared the stage with two of Jamaica‘s most distinguished reggae artists on 14th May at the World Heart Beat Reggae Academy‘s one year anniversary concert. 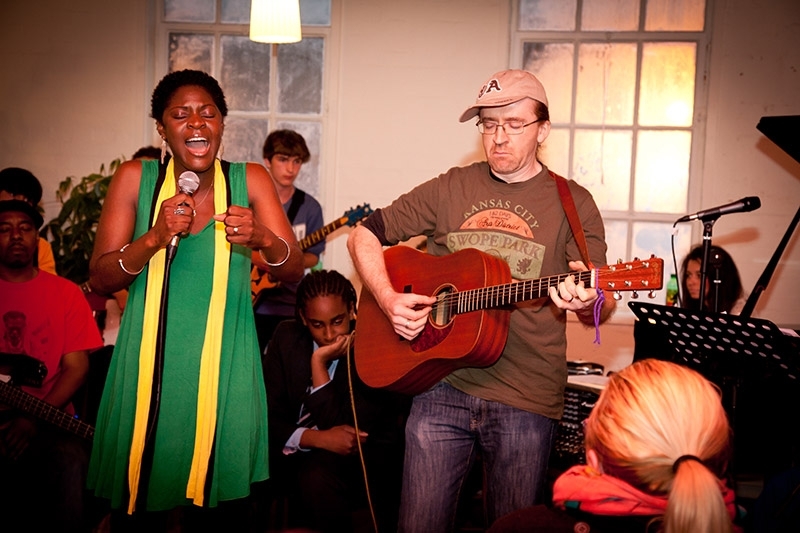 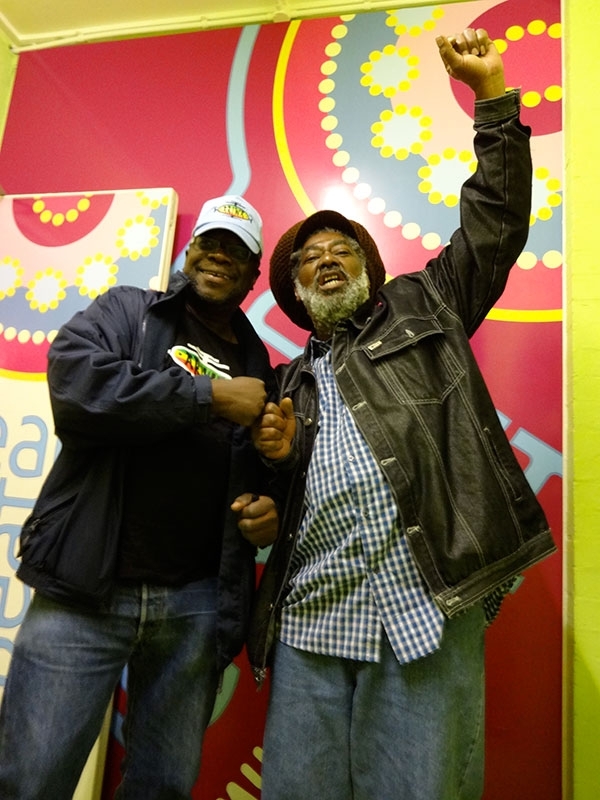 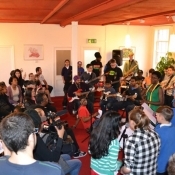 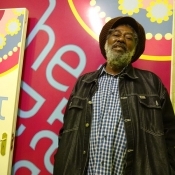 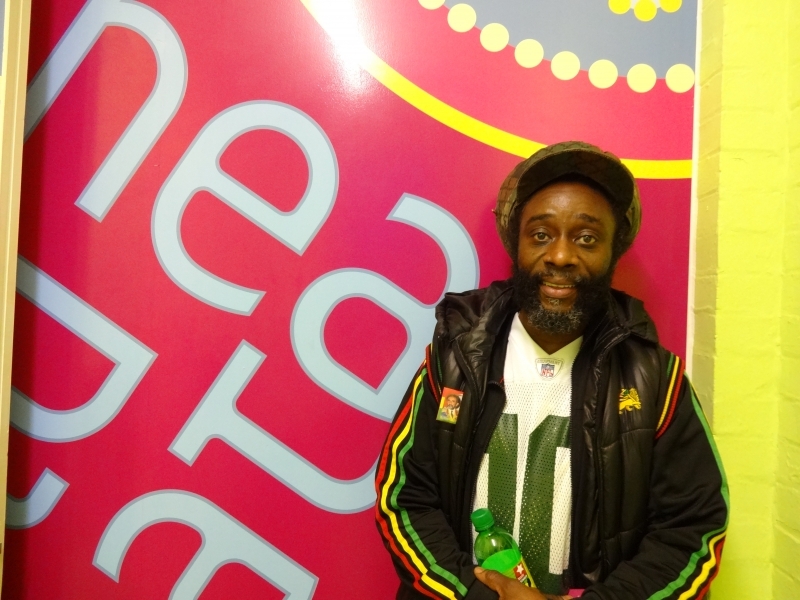 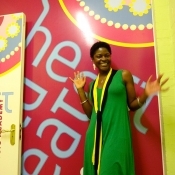 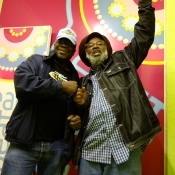 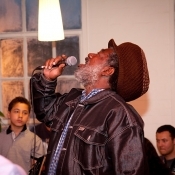 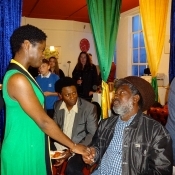 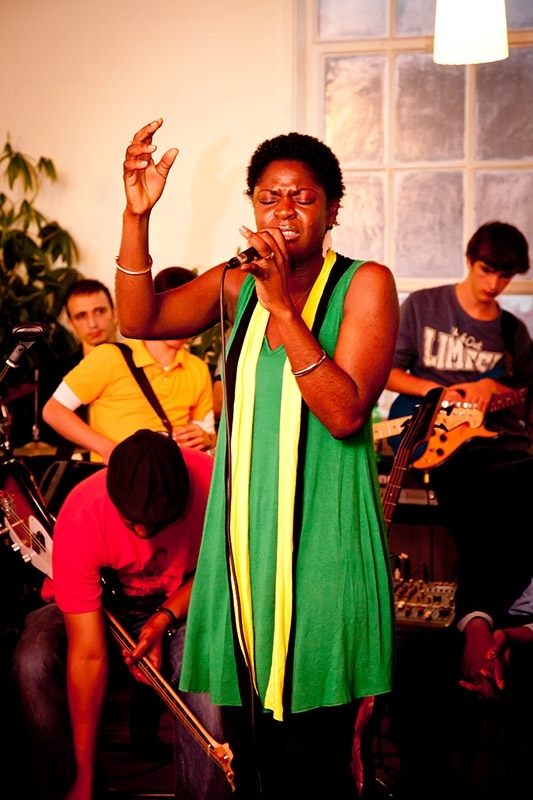 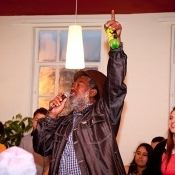 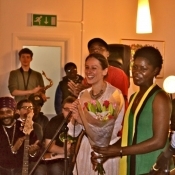 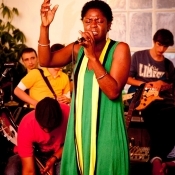 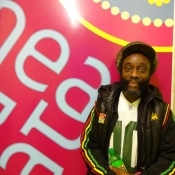 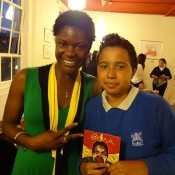 The event, held at the academy on Kimber Road, Wandsworth, was attended by the great Jamaican singer Brina, and the legendary Johnny Clarke, as well as other eminent names from the reggae world. 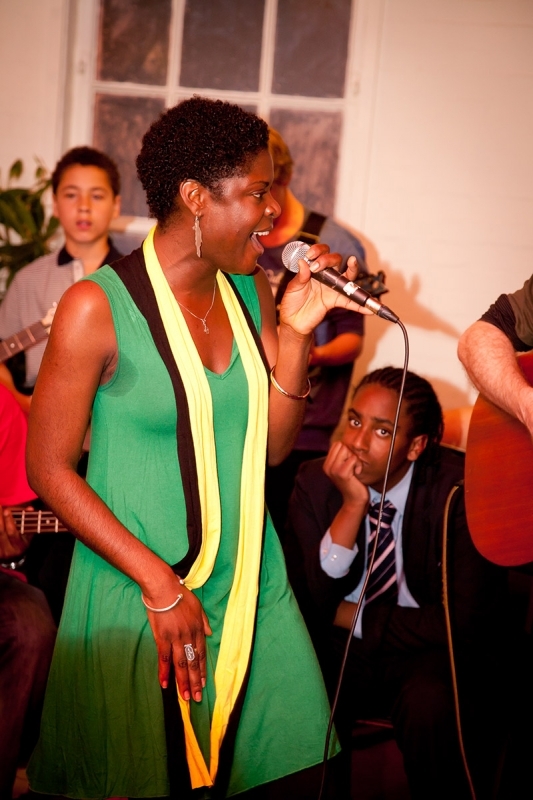 For our one-year anniversary of opening, the academy held a concert of which not only amazing Jamaican singer Brina sang at, but also we were so lucky to welcome Johnny Clarke who had flown in straight from his hometown Kingston, Jamaica. 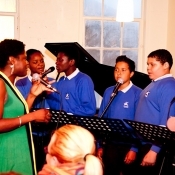 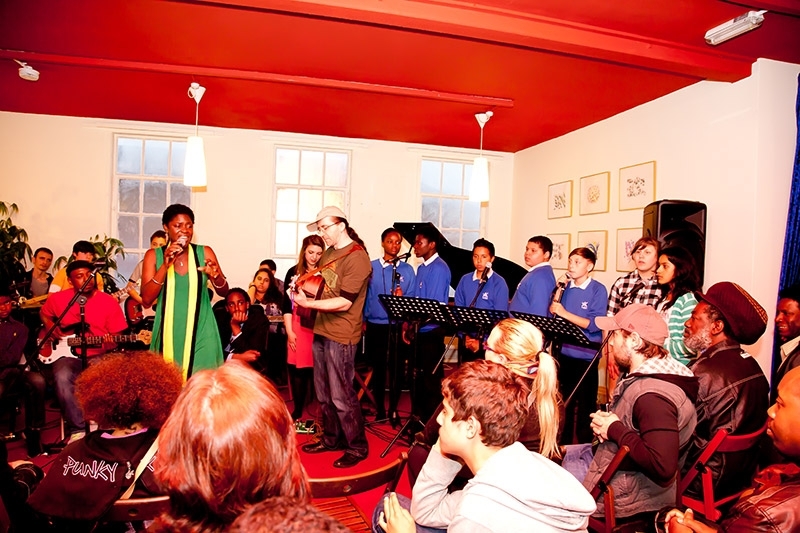 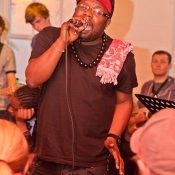 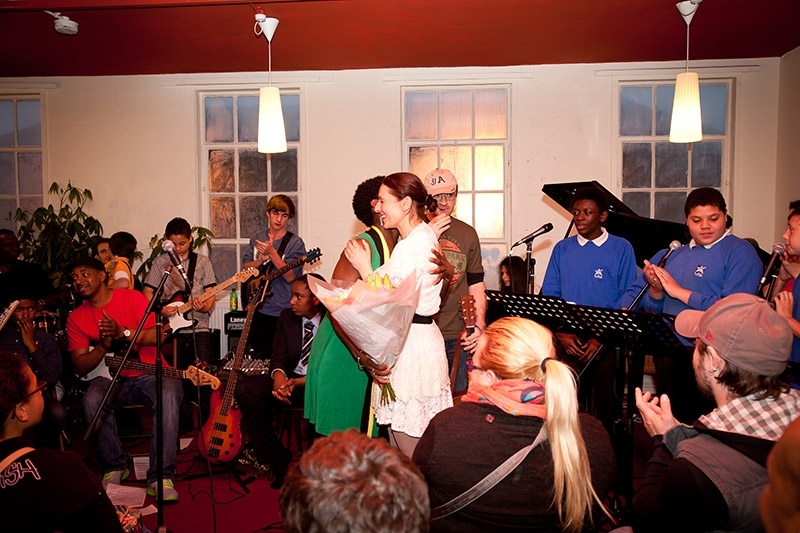 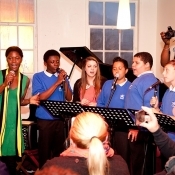 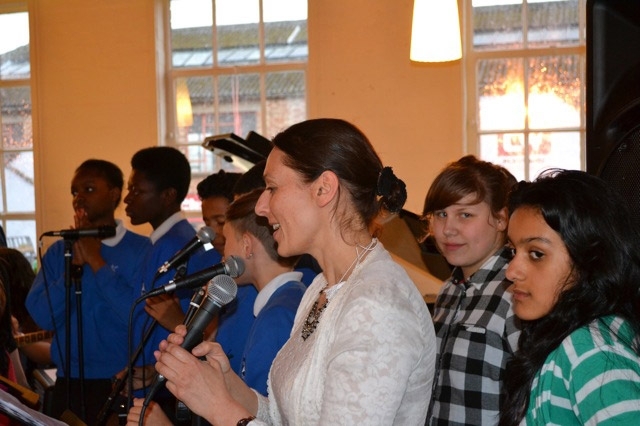 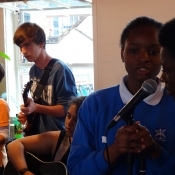 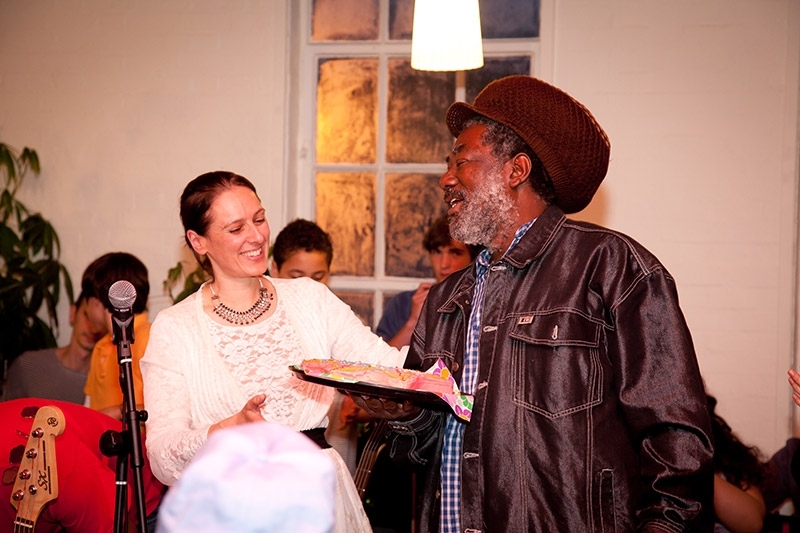 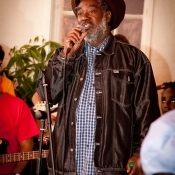 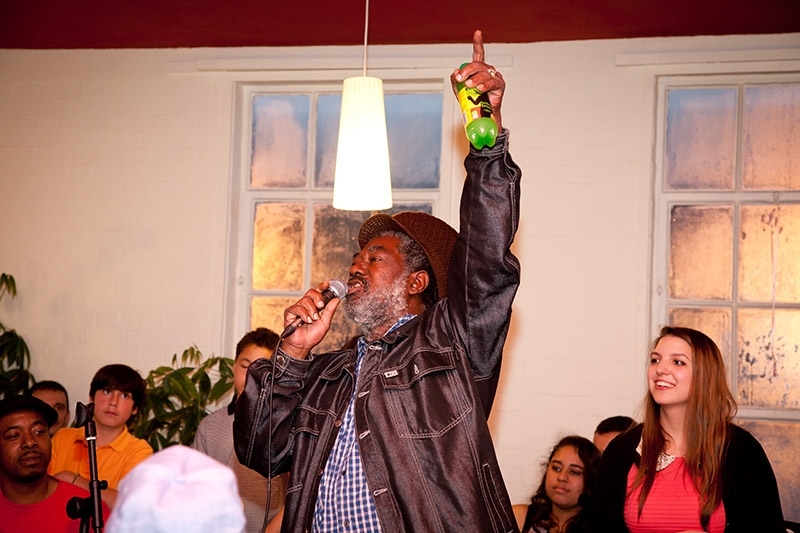 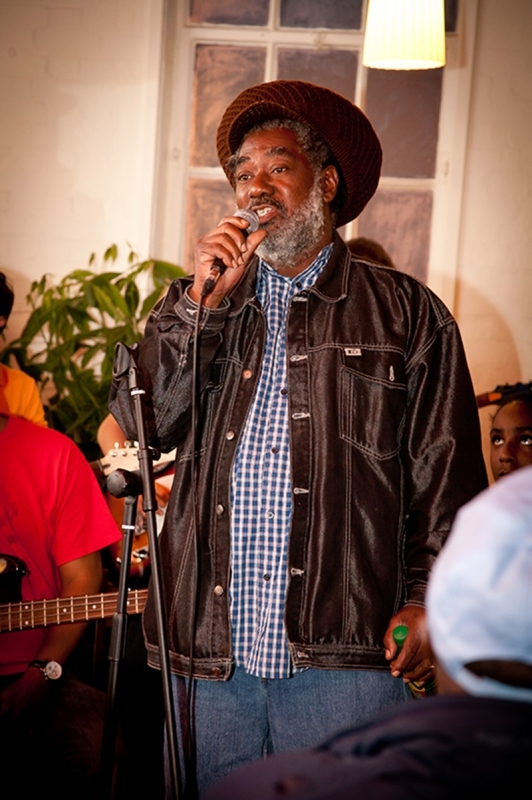 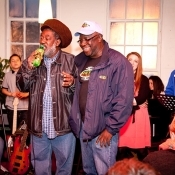 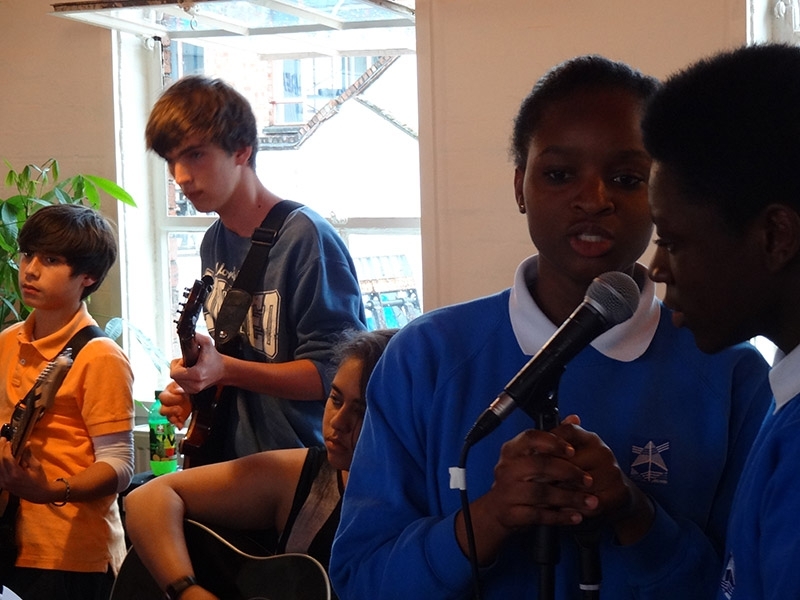 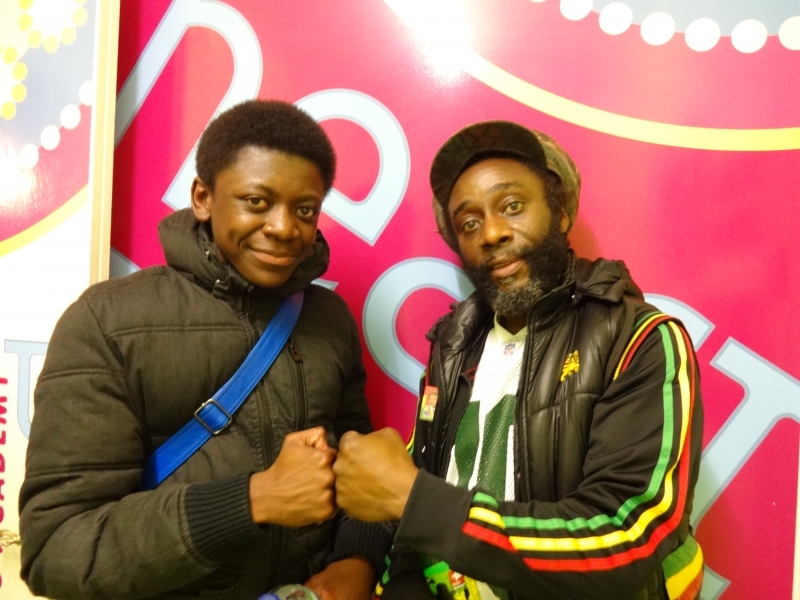 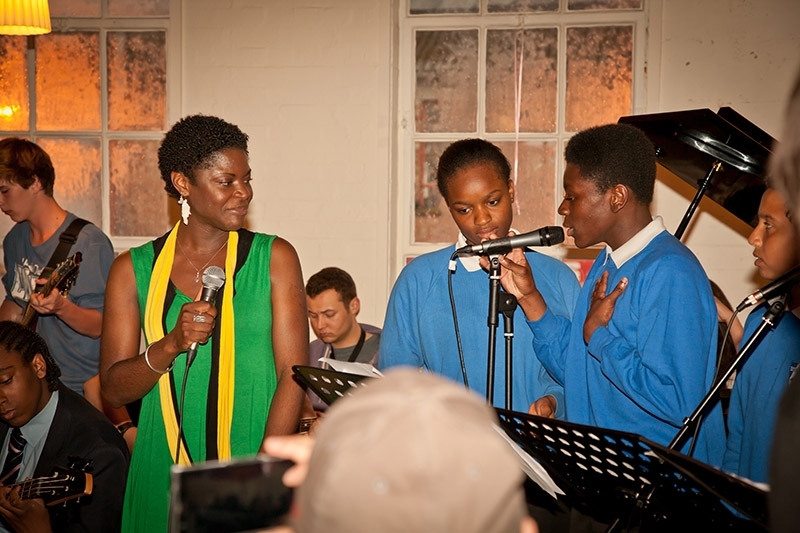 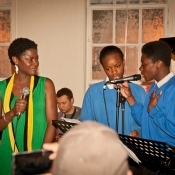 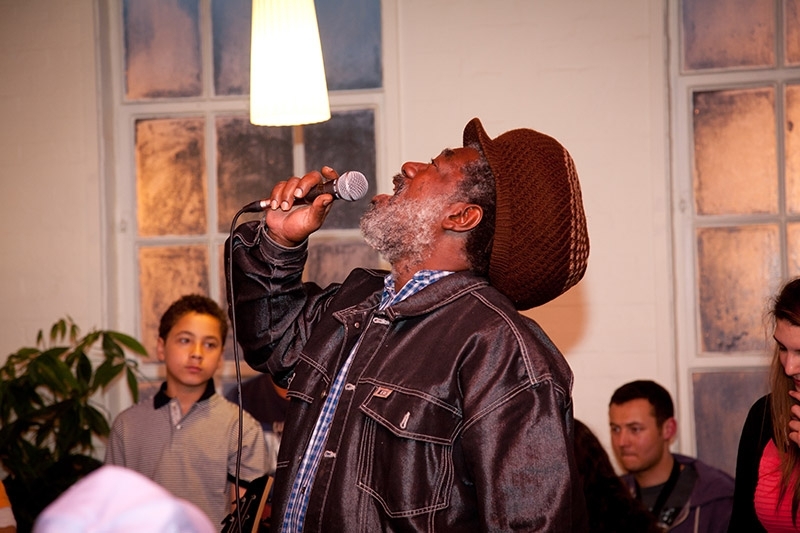 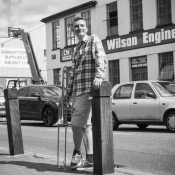 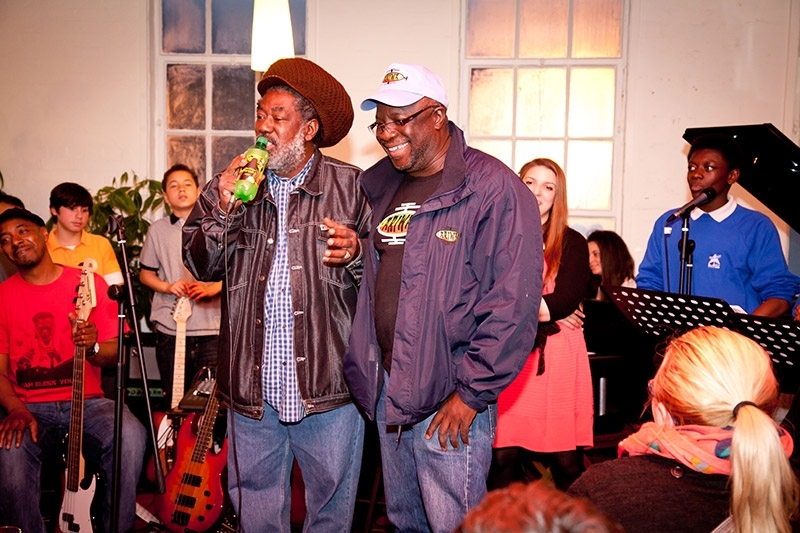 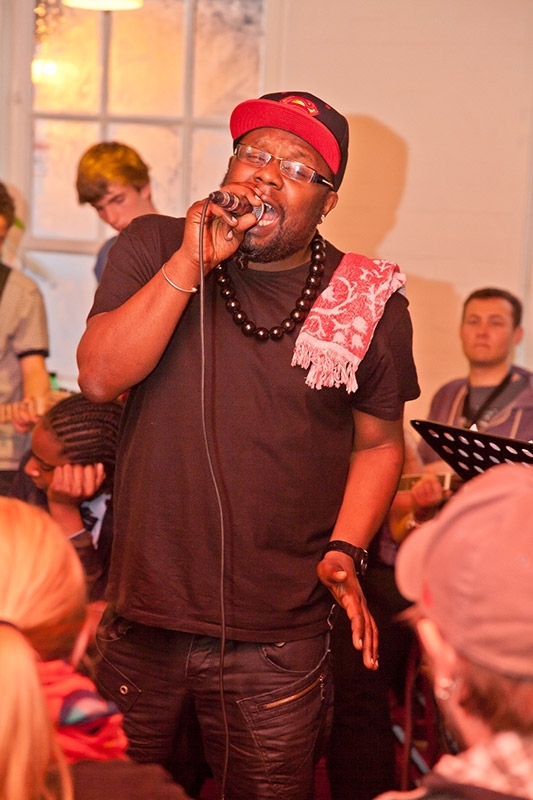 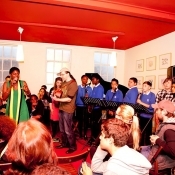 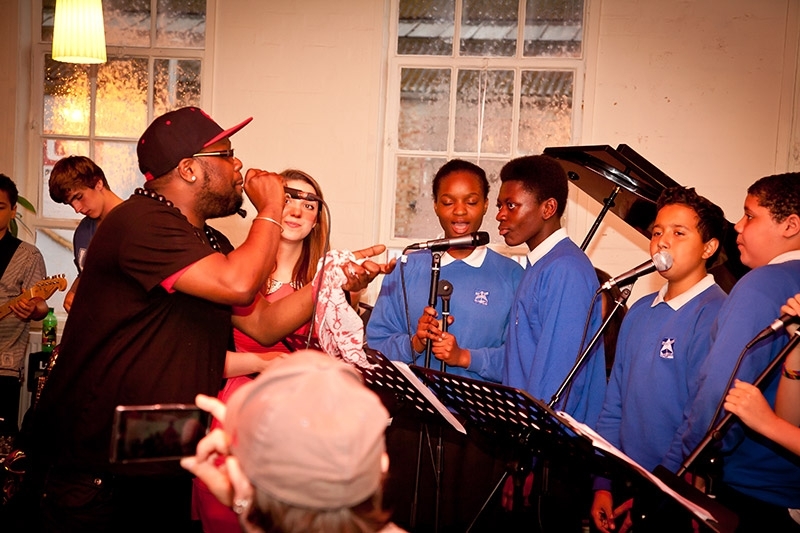 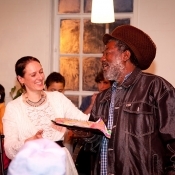 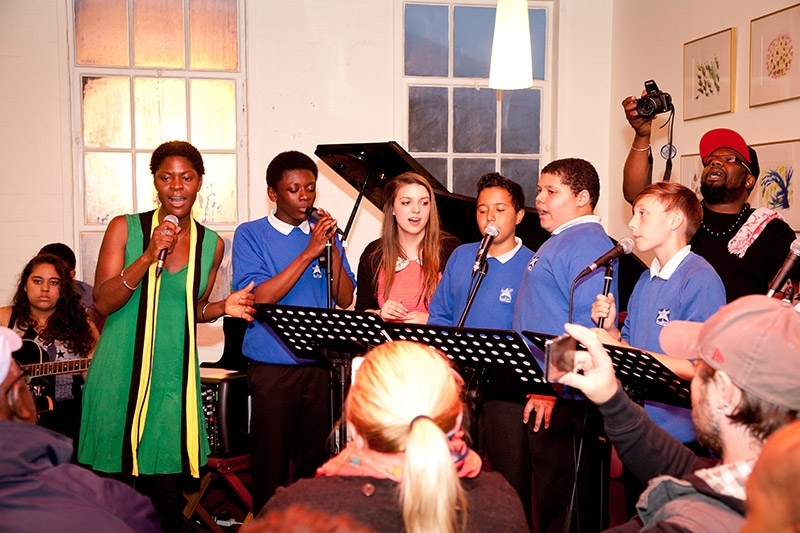 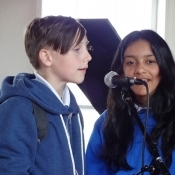 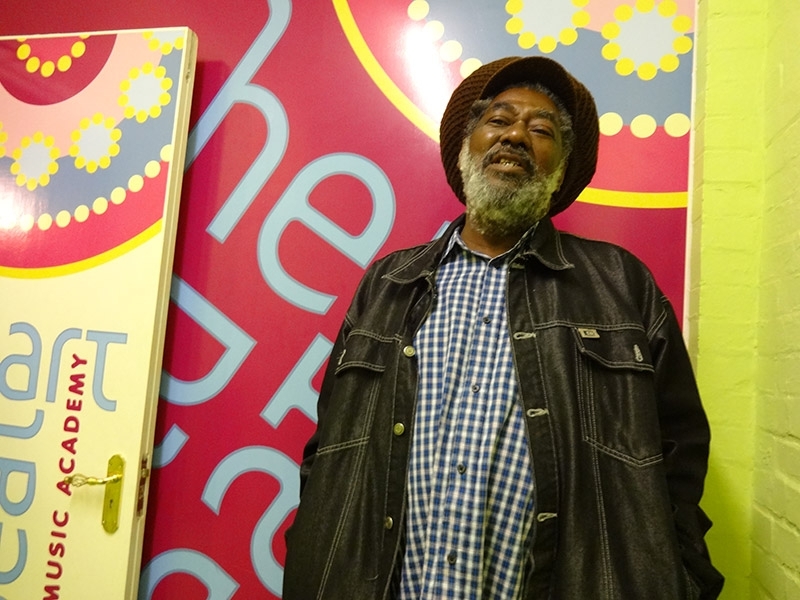 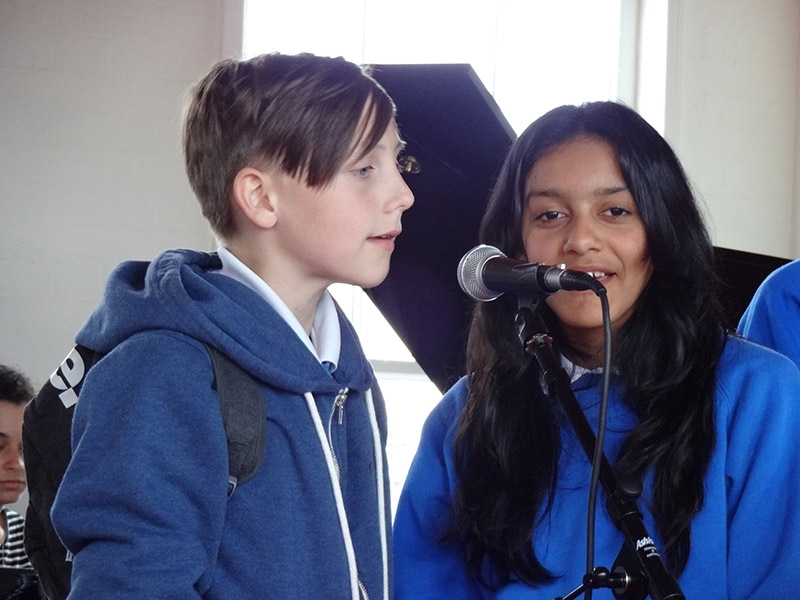 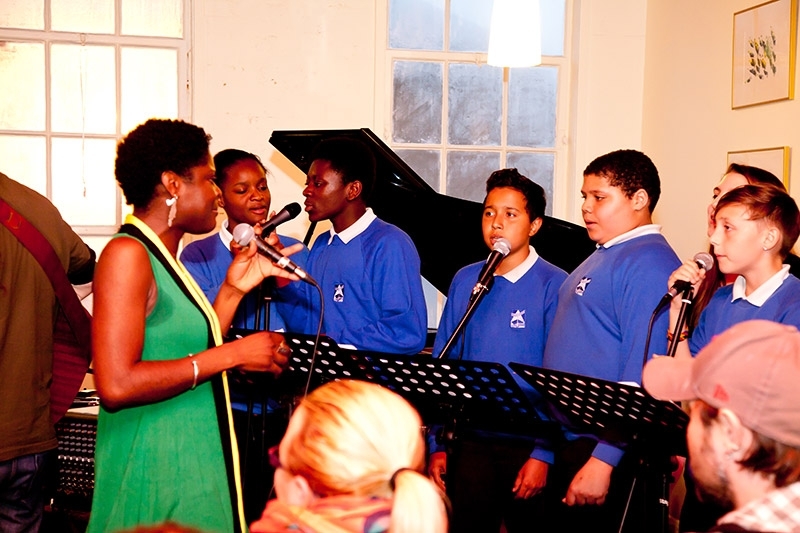 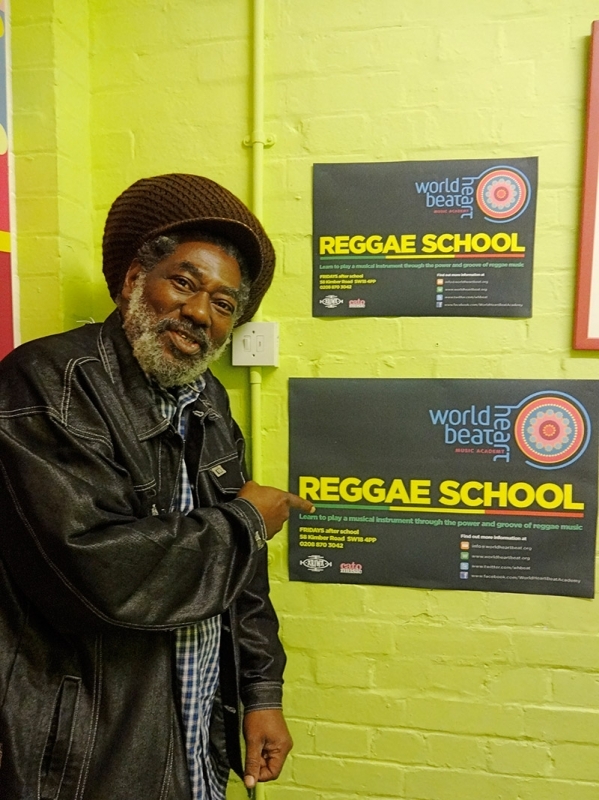 We were all extremely privileged for Johnny Clarke to sing at our very own WHB concert, especially our reggae school students, who had been playing his music. 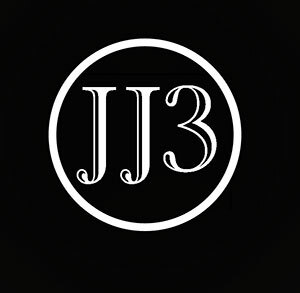 We honestly couldn’t have hoped for a better one-year anniversary concert and we are so excited to see what the next year brings! 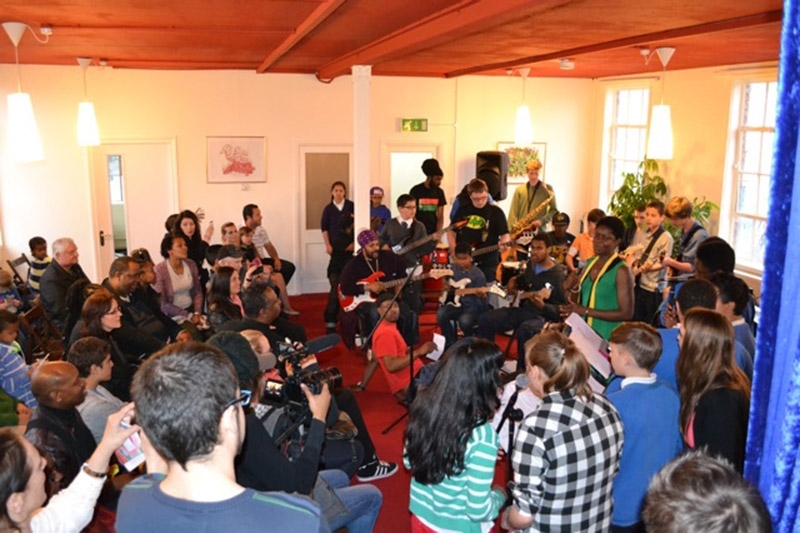 The World Heart Beat Academy envisions a world where music – as a universal form of communication – bridges cultural, political, economic and linguistic barriers. 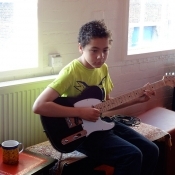 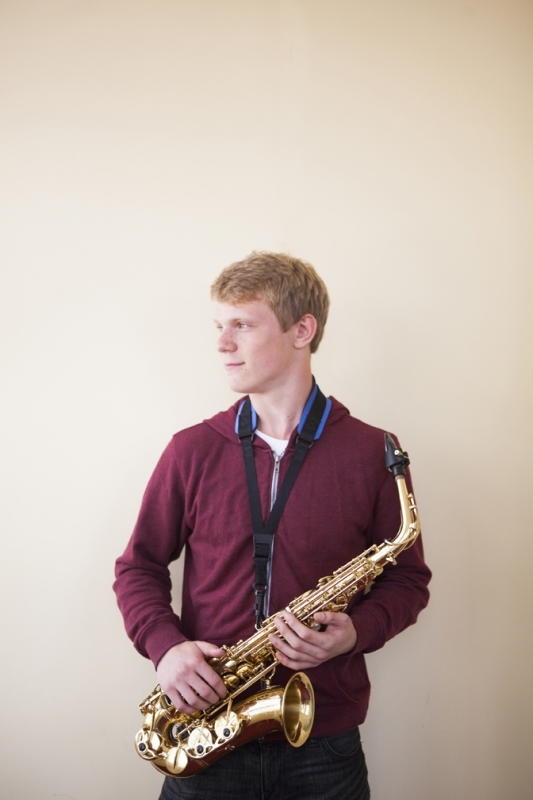 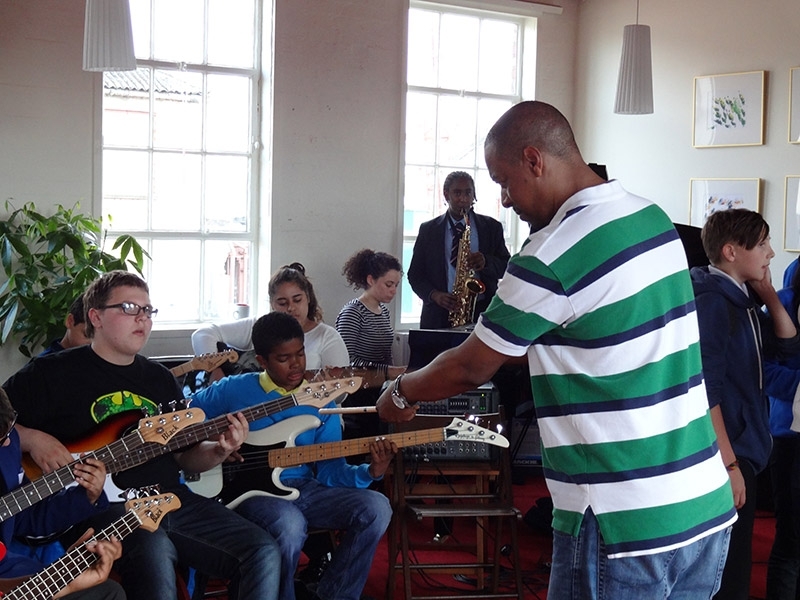 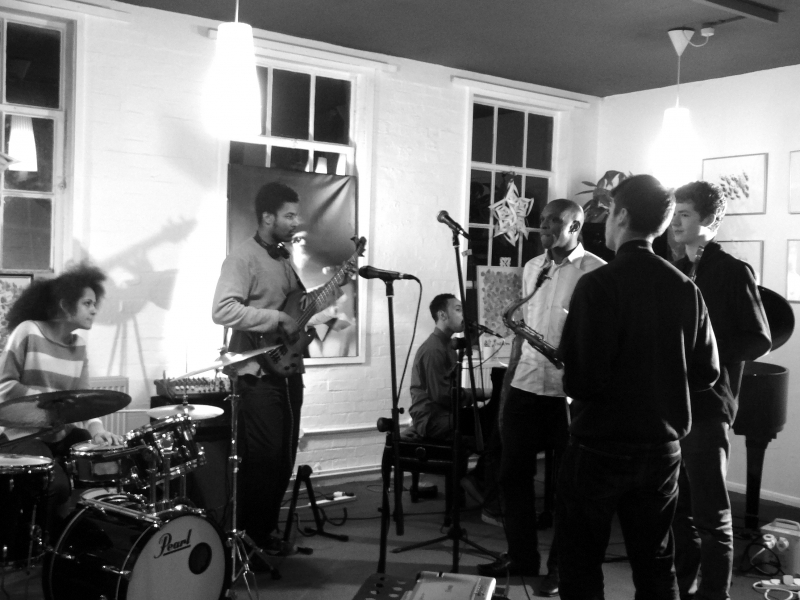 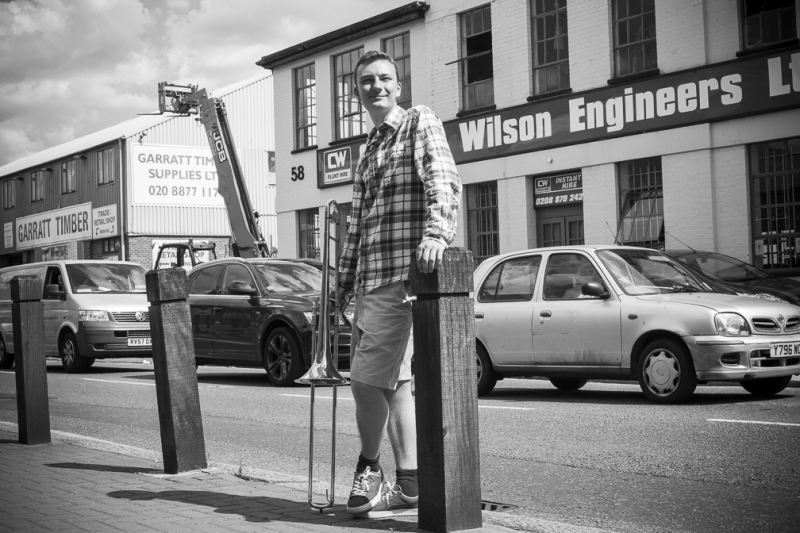 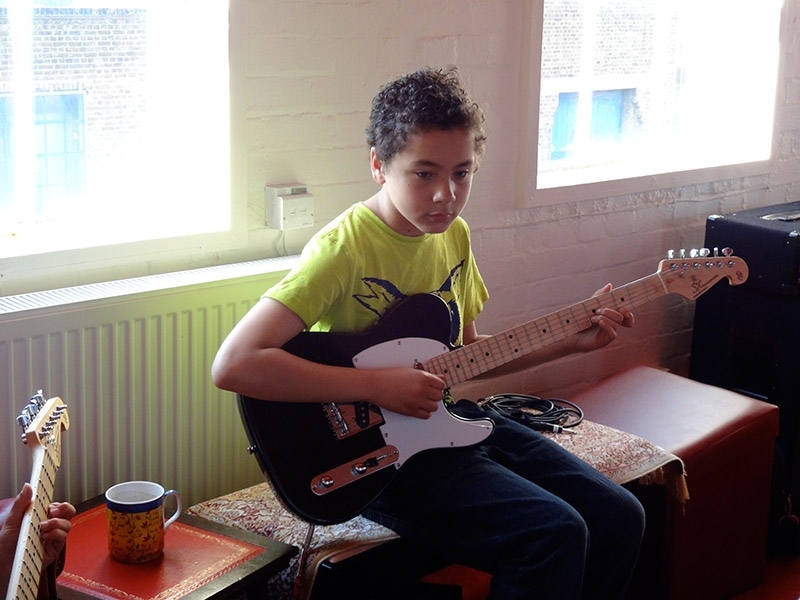 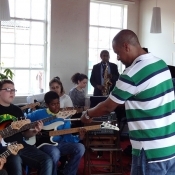 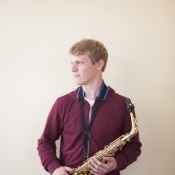 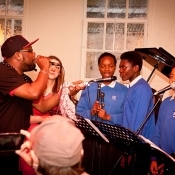 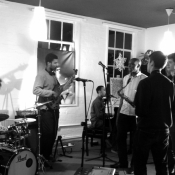 It aims to inspire a passion for playing musical instruments, and influence a generation of often alienated young people. 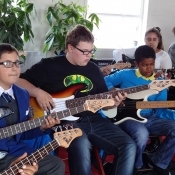 It provides an environment for young people to develop confidence, discipline, hope and belief in their potential to excel through sustained effort and practice. 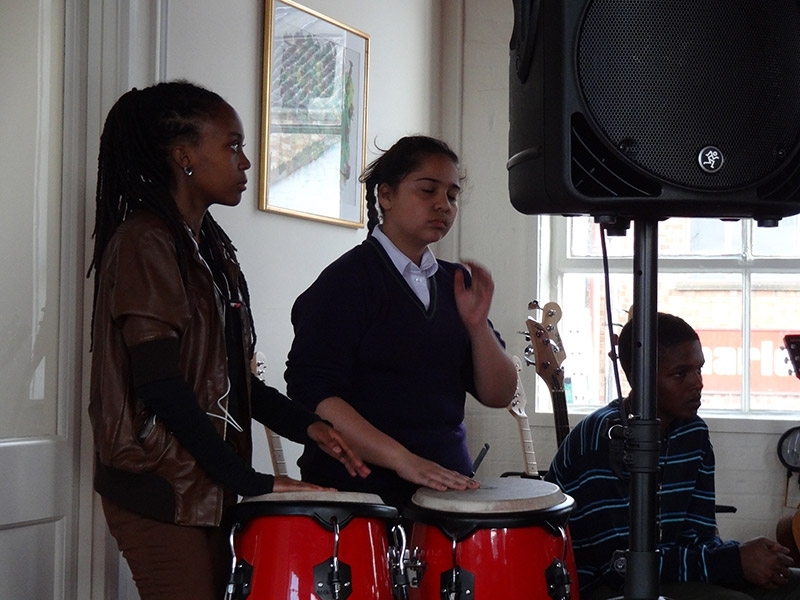 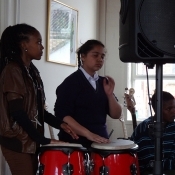 The event was a beautiful experience with the young people and the guest artists performing together. 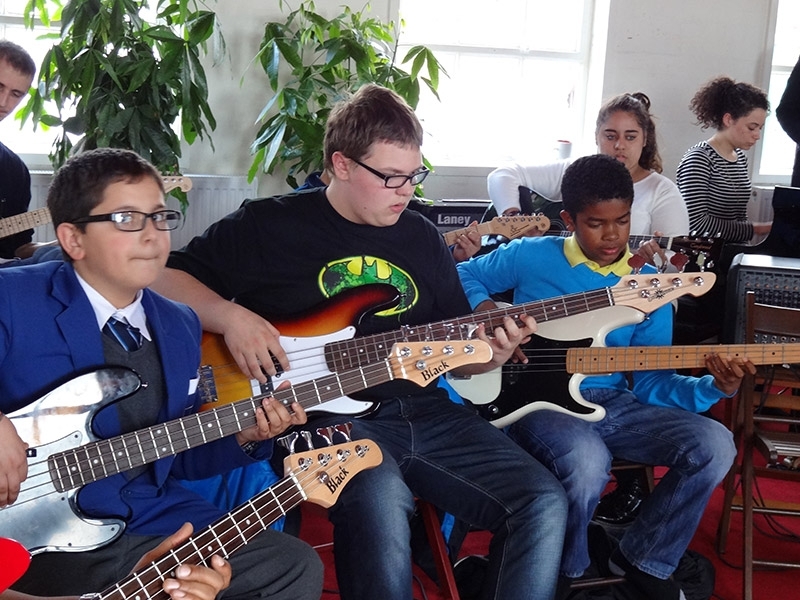 The World Heart Beat Academy is doing an amazing thing. 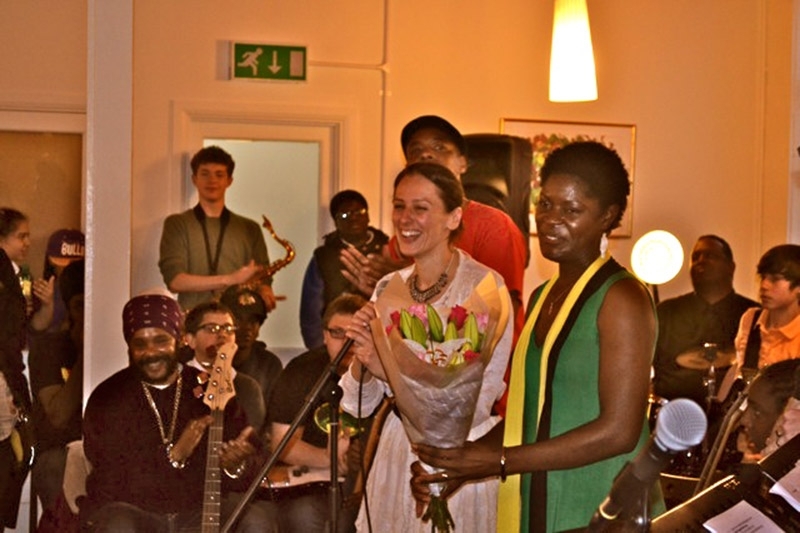 It was an honour to play, the entire concert was extremely uplifting and it is an experience I’ll never forget. 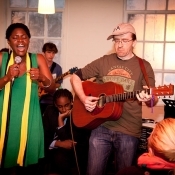 I love Reggae School,- the importance of Bob Marley and the experience of playing with other people. 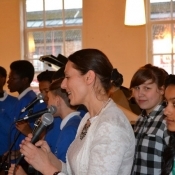 It was a very proud moment to see Brina singing with us and enjoying our concert. 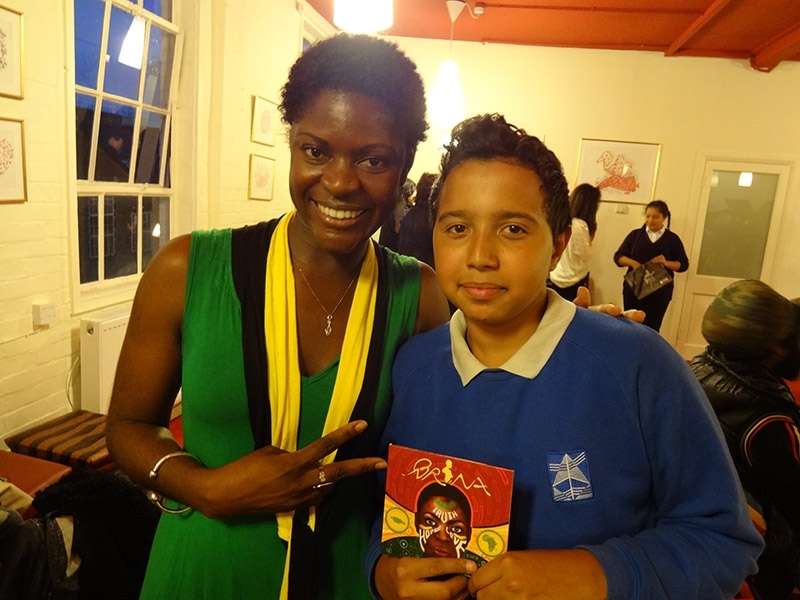 It was very inspirational and enjoyable. 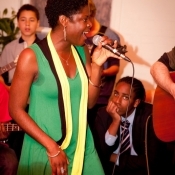 This concert was one of my best experiences. 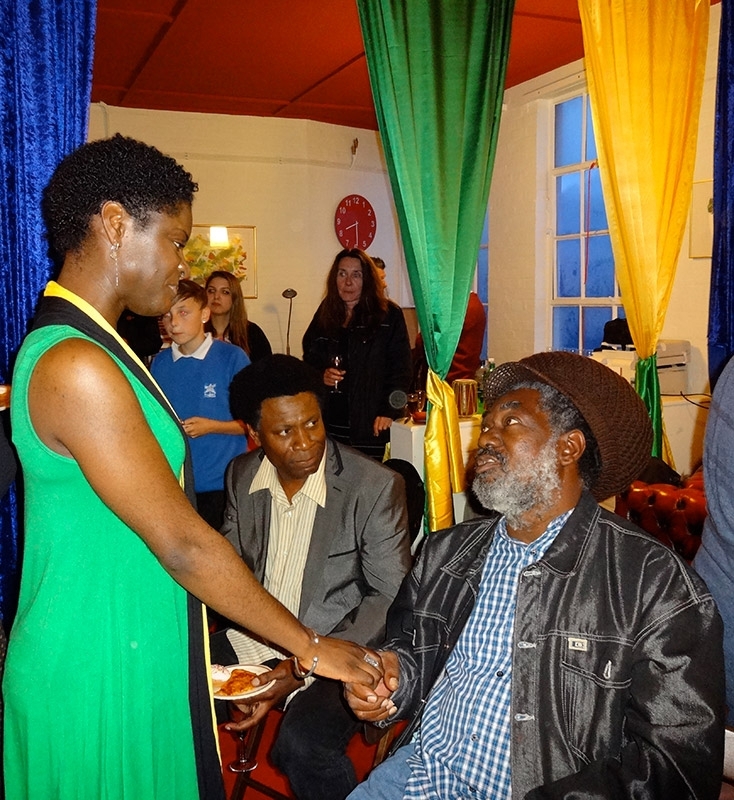 I was mightily impressed by the concert and all the talent and supporters you have assembled in only a year. 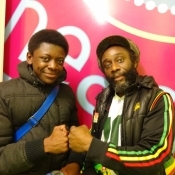 I was of course very proud to see my grandson on the stage with the reggae greats! 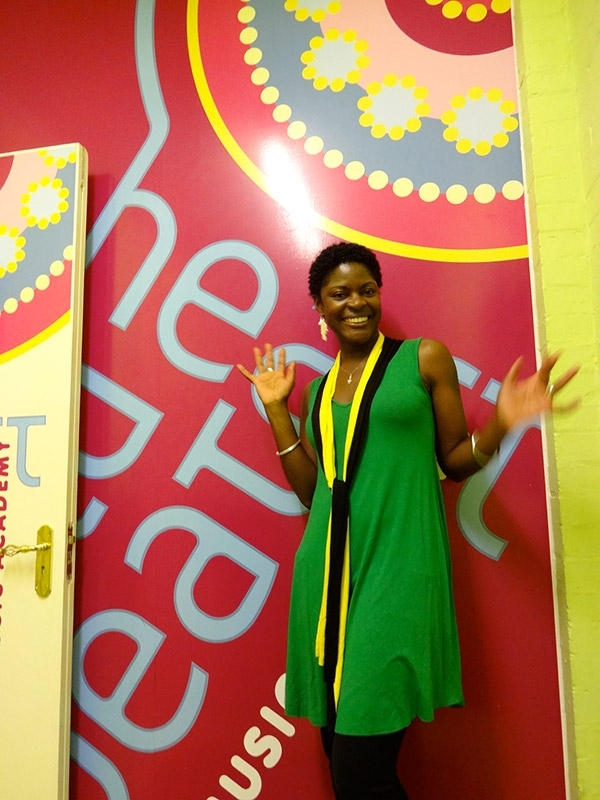 It was fantastic to witness first hand all the great work the World Heart Beat Academy is doing – I was truly impressed. 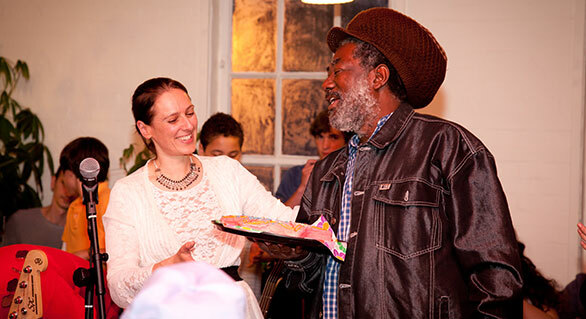 Congratulations on celebrating your first year of putting smiles on so many faces. 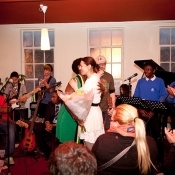 It was a remarkable event, full of energy and positivity, It was very moving for the musicians to present the Jack Petchey awards, which are very special to their recipients.